Hung Wei is a Professor at NCSU! 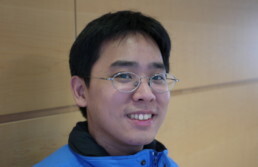 Our own Hung Wei Tseng has just started his new position at North Carolina State University. Hung Wei did his PhD at UCSD with Dean Tullsen and then joined my group as a post-doc.